The beloved Prouty Garden will be plowed under to make way for private rooms, a heart center, and a new neonatal intensive care unit. Children’s is a politically powerful Boston institution and that power was on full muscular display in recent days. A parade of power brokers — including some who have shaken their fists at our brand of high-cost medicine — lined up to salute the hospital’s plan. How do you put a price tag on a place where two generations of sick children escaped their hospital beds? Governor Charlie Baker. Mayor Marty Walsh. Mike Widmer, the former head of a state tax watchdog group. And Jack Connors, perhaps the city’s most powerful unelected force, and the former chairman of Partners HealthCare. It’s almost enough for critics of this project, like me, to cry uncle. How foolish we’ve been. How naïve can you get? For months I have railed against the Children’s expansion plan. Not necessarily because the services this new medical monument will provide aren’t needed, but because the hospital has deftly crafted a false choice. Its message? You can have your 23,000-square-foot patch of emerald green with its bunny rabbits and tinkling fountains, or we can save dying kids — our little patients fighting for their lives. That’s always been a bogus argument. 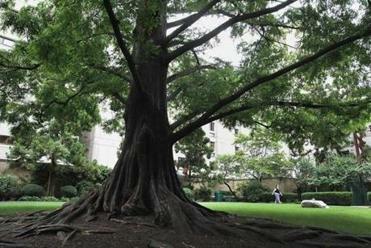 If this verdant and peaceful place didn’t exist, Children’s would find another place to grow. And that’s what it should have done. 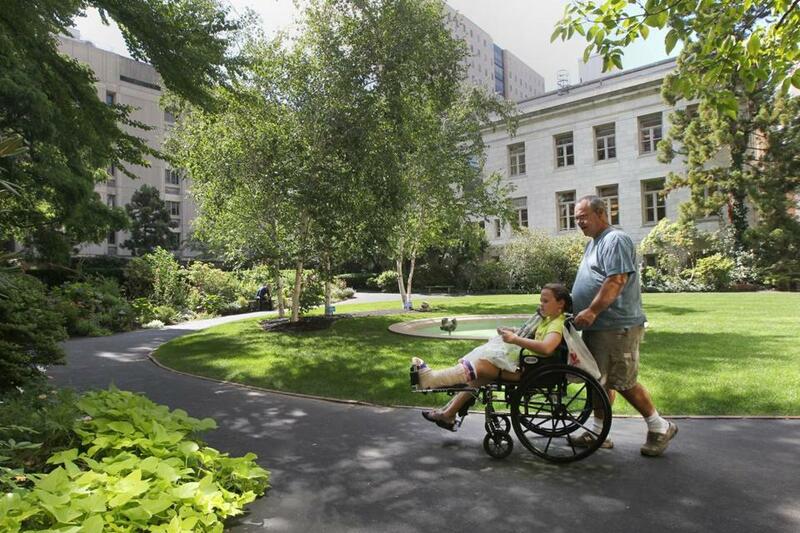 Prouty Garden was a gift to the hospital. It’s named in the memory of author Olive Higgins Prouty’s daughters. The garden, opened in 1956, was designed by the famous Olmsted Brothers landscape architectural firm. Some of those patients, families and staff stood at the steps of the State House on Thursday, just hours before the Massachusetts Public Health Council voted 10-0 to approve the expansion. One of them was Elizabeth Richter, whose beloved brother, David Horton, was diagnosed with a brain tumor at age 3. After he died just before his 13th birthday in 1973, his family scattered his ashes in the Prouty Garden on a snowy February evening. Like Richter, I have seen the miracles and medical heroics that happen daily at Boston Children’s Hospital. When my daughter was a teenager, I slept in a reclining chair beside her in a post-surgical unit bed at Children’s after blessedly brief treatment. Last year, I stood beside the great Dr. Alan R. Cohen, then Children’s neurosurgeon-in-chief, as he removed a tumor from a 10-year-old boy’s brain and then lovingly conveyed that surgical success to a family who dissolved in tears with gratitude. Unforgettable. I have also experienced the sharp elbows and bare knuckles of the hospital’s front office, which is used to getting what it wants. It’s no surprise that the hospital prevailed over the opposition of the Retailers Association of Massachusetts, the National Federation of Independent Business, and the Massachusetts Association of Health Plans. They’ve argued the plan is going to jack up health care costs. To say nothing about betraying a 60-year-old promise many believed — foolishly as it turns out — would be honored. When Children’s new building is complete, it’s easy to imagine the grand-opening gala on Longwood Avenue. The movers and shakers whose cheers from the sidelines helped propel the project past the finish line will be there in fine attire. Bow-tied waiters will carry flutes of sparkling beverages on silver trays. There will be fine finger sandwiches and rich desserts. A stringed quartet will perform lovely classical music. A wonderful affair. Here’s what can’t happen: There will be no plaque unveiled. There will be no words chiseled into marble to convey a solemn promise, a sacred oath about the perpetuity of a simple place of peace. No one’s going to fall for that again.